In my case, he helped me take such an apathetic role as the spiritual leader of this home that eventually God had to intervene to keep us from becoming another one of the failed marriage statistics. I believe a healthy marriage can be one of God’s greatest testimonies to His abounding love, grace, and sacrifice. On the other hand, it can also make a mockery of the covenant, depending on if the marriage is one that tries to honor God. What I have been trying to figure out is, why would I have gone 20 years attempting the same ineffective ways to lead my home, when deep down I knew they weren’t working? I got caught in the same thing that I believe is rampant in today’s society. We believe, hook, line, and sinker the lies that Satan has been dishing out since the garden of Eden. We have just come off of the month of prayer and I heard some really good sermons on praying for our nations, the sanctity of life, and racial reconciliation. I can’t help but talk about one of the ways this nation has allowed society to warp our sense of logic into believing things that on the outside seem so absurd. Here is one such example. Hypothetically, a woman could be on her way to an abortion clinic and be hit by a drunk driver, causing her to lose her child. The drunk driver could be charged with manslaughter for killing the unborn baby even though it is perfectly fine for her to continue on her way to abort the child herself. Does anyone else not see the irony in this? It is either a child, worthy of us defending its life or it’s not. Society has allowed this double standard that just doesn’t make sense. It’s the same lie that uses words like “pro-choice”, “woman’s rights” or any other term that minimalizes the true issue at hand. Do we have the right to take another life, and at what point is that life truly a life? I am really not attempting to make this blog about abortion, but rather how, thru the media and current social trends, we start to believe things that are contrary to God’s Word. You wouldn’t think that Christians would get caught up in issues that Scripture clearly warns us about, but honestly, the church doesn’t have a much better track record on things like divorce, abortion, and homosexuality than the rest of society. I am going to look at some of the lies that the men in our society, and unfortunately the church as well, have bought into. Let’s look at how an extramarital affair plays out in reality. Satan paints the picture of this awesome new experience that will add excitement to your mundane life and will somehow be the answers to your problems. Reality is that you cannot go and spend time with a mistress and truly enjoy yourself because of the guilt and shame that comes with the package, unless you have seared your conscience beyond normal feelings. Remember, we are assuming this blog is written to Christians so we should have some remorse for breaking the sanctity of marriage. So we feel guilty when we are with her so let’s go home. Oh, wait a minute, I just cheated on my wife and now I get to face her and the kids knowing what I have just done. O.K., that didn’t work out so well. How about I just view some inappropriate sites on the computer? That will fix everything. Here we go again! I am trying to get enjoyment from viewing someone’s daughter or another man’s wife and somehow forget that fact. Now let me look in the mirror at what an awesome man I’ve become. I am sure I am the man I dreamed of becoming when I was a child. Please hear me! You can’t find true satisfaction in anything that is not God honoring. You may find brief pleasure in some sins, but it is not worth the guilt and shame and mental defilement you get to carry after the fact. Don’t get me wrong. Jesus died for our sins but not so we can have a free pass to continue in them. So what is my point? God had to get my attention and I pray I will never be the same. God allowed me to see that when I start to know, believe, and follow His Word, the problems that I had dealt with all those years started taking care of themselves. I gave some of the examples that seem to plague the church the most, and though I have had my share of sin to deal with thru the years, those examples weren’t my current issues. Let me give you an example of one issue I had to come to terms with. I think the majority of my marriage; I failed to ever truly commit myself because I always felt I needed to protect what was mine. You know, my time, my interest, and let’s face it, even protecting my thought life because, hey, “what she doesn’t know won’t hurt her.” Who says that? That is one of those lies that Satan wants everyone to believe. Jesus talked more about your heart condition than your actions. God showed me that when I truly commit to Him and start to do things His way, every part of my life started to improve. I don’t need to “protect” my time from my wife when God allowed me to cherish her in a way that makes spending time with her so much better than spending time by myself. Men try so hard to find the perfect woman in their office, at the bar, or on a computer, when all along God put a woman in your life that can be everything you want and more if you stop coveting what you don’t have. I never knew I could have the relationship God intended because I was too busy trying to keep the boundaries in place. I was my own worst enemy. Don’t get me wrong, God had to help Debbie make some changes as well, but I didn’t need to look outside of the marriage covenant to have true contentment and happiness. In fact, that is the only place you will find those things because it is the only place God intended you to find it and the only place where it doesn’t come with shame and guilt. God allowed me to see more clearly and change the lenses that I looked at life thru. Other areas that I started noticing a difference were in how I began to treasure the time that I spend with Him. I had become too works oriented and could never truly worship until I realized my worship was meaningless until I began to see the Glory of the Lord. He became worthy of all praise and admiration and not just a task I did because I was a believer. My other relationships started to look different as well. It is easier to witness when you believe everything Scripture says of Him and you know Him on a personal level than when you just know of Him. You can’t put your marriage in order unless you allow Jesus to be the Lord of your life. It starts and ends there. When Jesus becomes your focus, everything else will start to fit. Most of us suffer from narcissism and can’t see past our own, selfish needs and the irony of that is it keeps us from ever getting what we truly need. I didn’t believe that Scripture was beneficial to my life. God did not leave us His Word just to limit what we are allowed to do as Christians but so that when we follow His will in our life, our life will be lived to the full abundance that He has in store for us. I want my life and my marriage to be a testimony to the abundant grace, mercy, and redemptive qualities of our Lord. That can only happen when I stop believing the father of all lies and instead believe the One True Father. What lies has Satan sold you on and when will you be ready to try the only truth that brings life? 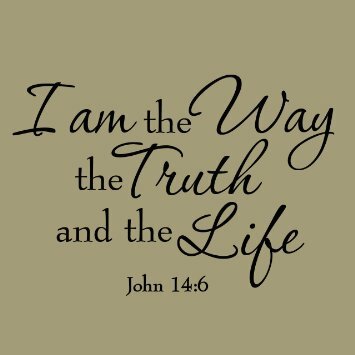 Jesus said “I am the way, and the truth, and the life” and I choose to believe that with all my heart, mind, soul and strength. 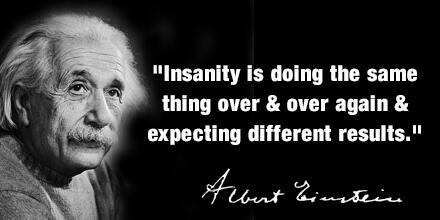 Clear and to the point… very well said! I’m an all-in kind of chick. I am very passionate in everything I think, do, say and feel. Being all-in and passionate can be very good…unless of course your passion takes you off course. From the age of 15, I was all-in and very passionate about partying, and I stayed passionate about that lifestyle until around the age of 32. I wanted to quit so bad but there was far too much pain to feel and way too much guilt and shame to face. Stay up to date on all of the latest blog posts!